Following a spate of research studies into the UK’s showering habits, we give a round-up of the findings to find out what the UK consumer actually wants from the showering experience and what this means for shower manufacturers and retailers. According to a recent poll by YouGov Omnibus and Yahoo News UK, which asked 2,034 Britons how often, on average, they tend to have a shower or a bath, 49% said once a day. Trend-Monitor’s own research in its Behind the Bathroom Door 2018 study, found that participants had on average one shower per day, and that those who shower more than that, tend to do so for a specific reason, such as a social occasion or after exercise. Clearly, the primary reason for having a shower is to get clean. Or is it? When bathroom retail franchise Ripples conducted a social media survey in September 2018, they asked respondents to categorise their showering styles. According to the survey, 67% of people found the shower to be a ‘sanctuary’. YouGov research commissioned by Mira Showers, which surveyed over 2,000 UK adults, backs up the Ripples study, revealing that 40% of people shower because they find it relaxing, they enjoy it and because they like to escape reality. The same research also found that 70% of 18-24-year-olds, and 53% of parents with children aged 4-years-old and under, multitask in the shower. So what does ‘multitasking’ in the shower mean? Some of these activities are cleanliness related, but by no means all. According to Mira, 16% of UK adults shave in the shower, 13% listen to music, 10% sing, 7% brush their teeth, and 7% stream or watch TV. When it comes to social media, Snapchat users check their phone while showering more than any other social network user, and 207,310 Londoners – 3% of adults living in London – like to drink in the shower. 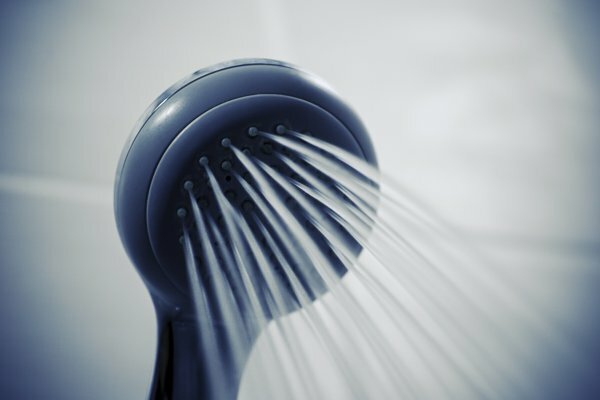 Trend-Monitor’s own research revealed that the average time spent in the shower ranges from 5 minutes to 20 minutes. However, the fact that 22% spent over 15 minutes in the shower can be explained by the trend to multi-task. Showering offers a quick solution when what is required is a five-minute ‘turbo wash’, but it also offers a retreat from a fast-paced lifestyle and a hectic household. Retreating away from other people was flagged up in Trend-Monitor’s Behind the Bathroom Door research. Those who showered regularly were emphatic that the shower was not a shared space. In the Ripples research, when asked whether they viewed their showering area as a ‘social’ space, characterised as a place that is shared to save on time and water, out of the four categories this came third. Mira’s research indicates that 64% of UK adults prefer to shower, confirming that it has beaten the bath to become UK’s most popular method of getting clean. However, the evidence points to the fact that showering has clearly become so much more than that. It seems that millennials are spending the most time in the shower and getting the most enjoyment out of it – 19% of 18-24-year-olds said they take the length of time they do in the shower because they like to escape reality. As showering continues to move beyond simply being a way to keep clean, there’s much that manufacturers and retailers can do to maximise on this trend in terms of their marketing strategies, the use of bathroom technology and the design of the bathroom, as well as the design of showering products.